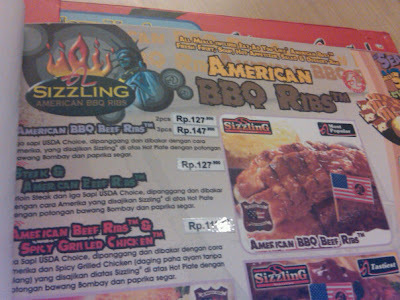 After so long tinkering on what would have been my first review on Restaurants in Surabaya, the choice fell to American Grill. There are some candidates to the review that I decided to shelve until sometimes in the future. I personally think that American Grill was a nationalised version of US’s steak giant Sizzler since I don’t have any evidence on the correlation between the two. 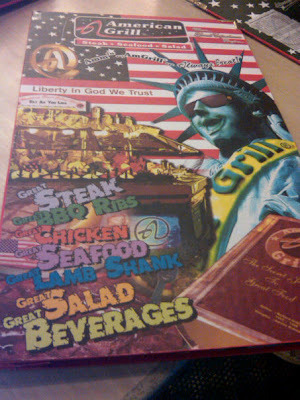 However, the restaurant’s logo and concept are strikingly similar to Sizzler. 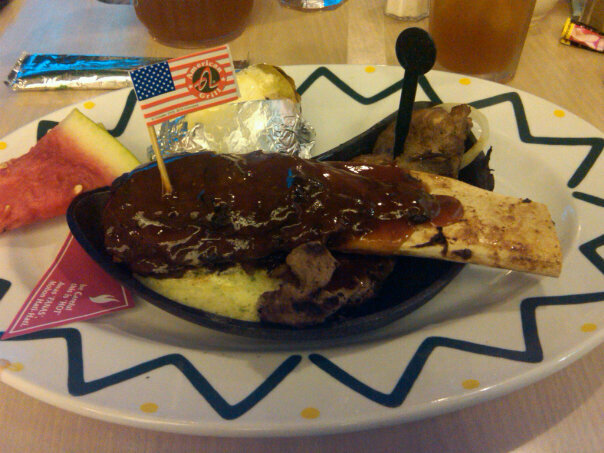 Why American Grill? Simply because I love everything BBQ or steak. There was a steak place that we love to eat, called Pro Steak. 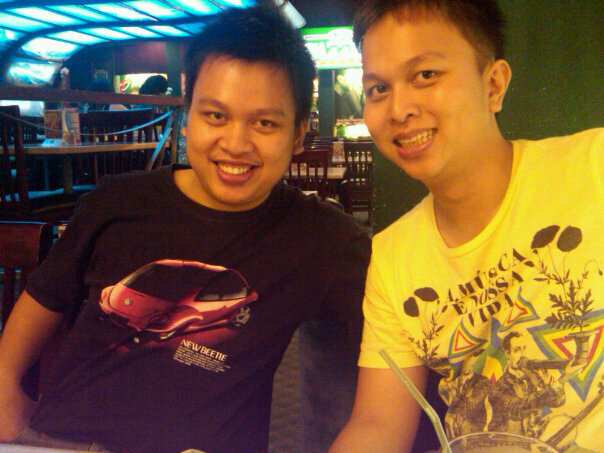 We reckon that was the best steak place in Surabaya. Unfortunately, the place was closed down. This restaurant turned out to be one of the contenders to win our hearts in the meat department. In American Grill, you get to eat as much as you can for its salad bar, ice cream, and other light meals on the bar for every main course you order. 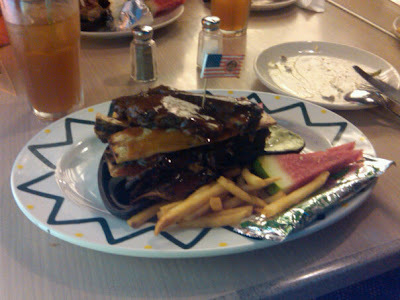 My choice of main course fell to the three racks of American BBQ Beef Ribs.Three gigantic beef ribs (according to Indonesian standards) were stacked on a hot plate on top of a bigger serving plate – yep, that’s a lot of plate on the table. It’s accompanied by your choice of fries and an odd complement of two slices of watermelon. I don’t understand why watermelon since it’s free to pick from the fruit bar anyway.The ribs themselves were fabulous. They were grilled up to the non-burnt limit. They could be cut off the bone really smoothly. The BBQ sauce was a little bit of a let down since they tasted like those supermarket brands. They have quite a bit of variation with the ribs that include Steak and ribs or Boneless Ribs and Sirloin Steak. The steak was pretty bland and was not fresh. You would have to take the optional condiments for the steak to taste better. On with the salad bar! Since I had a ‘green veggies only’ restriction, I could only show you the pic of green beans, broccoli and potato skins in white sauce. They had a full range of salad bar with four different sauces. They also served three kinds of soups. On the fruit and desert department, they had sweet basil seed jelly, various fruits and puddings that I couldn’t take and/or finish. 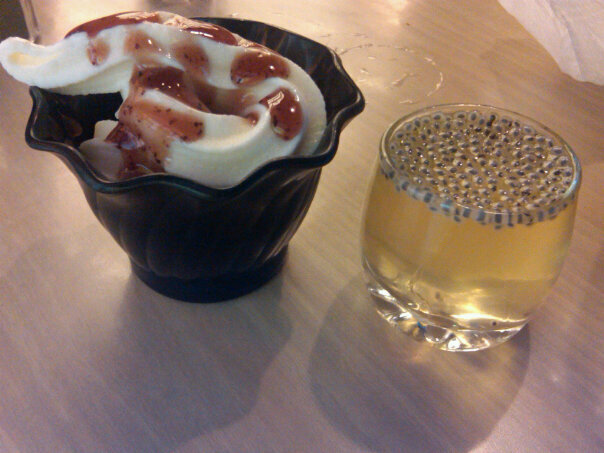 The night was ended with a cup of Lychee Yoghurt in Raspberry sauce. The yoghurt had a good balance of sweet and sour. Optionally, you could also have a chocolate ice cream with different kinds of lollies, peanuts and chocolates. IMHO, Most of the tastiest food in Surabaya came from a small restaurant that provides a single menu. For example, Bebek (Duck) Palupi of Rungkut, Lamb Satay in Pucang or Soto (some kind of soup) Ambengan. Thus it creates a different atmosphere to a big chain restaurant. It is also pretty difficult to describe the singular food experience to be written in my blog. Thank you for stopping by, mate! 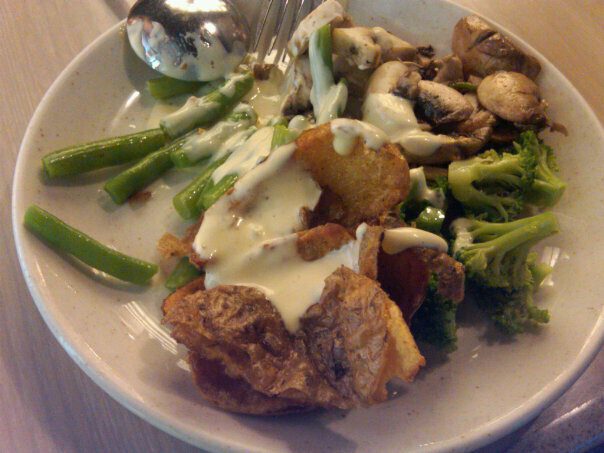 I am sorry I have limited exposure to food places in Surabaya. I will have some more in November, they will possibly be written around December.